Anonymous: An Animation Cel for Animal Farm, Directed by John Halas and Joy Bachelor. The 1954 film of George Orwell’s book was the first full length British cartoon. In clip frame 35 x 28cms. The cel is a little wavy (needs a tighter fit than a clip frame), otherwise excellent condition. Category: Miscellaneous. 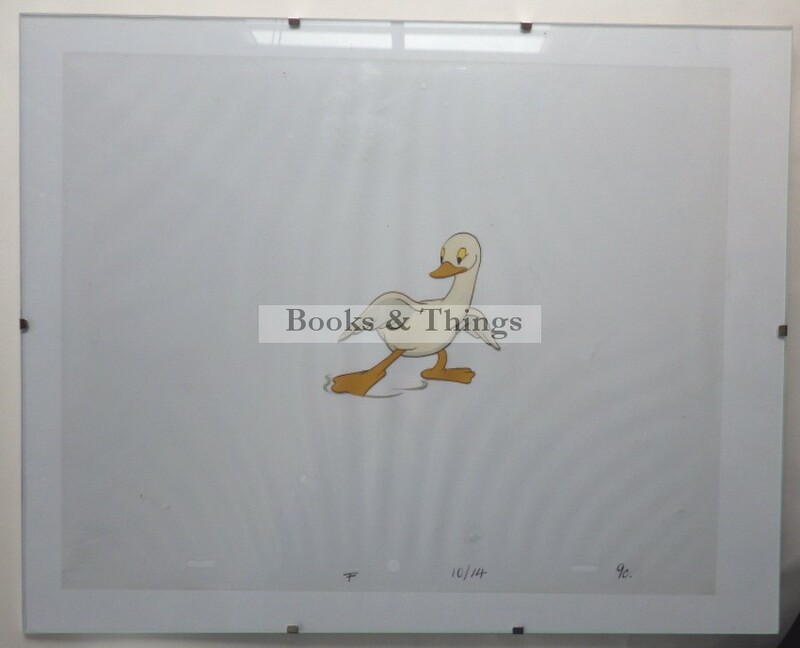 Tags: Animal Farm animation cel, Animal Farm duckling animation cel.